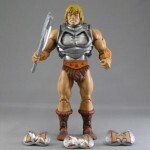 MattyCollector posted on Facebook new images of Battle Armor He-Man. 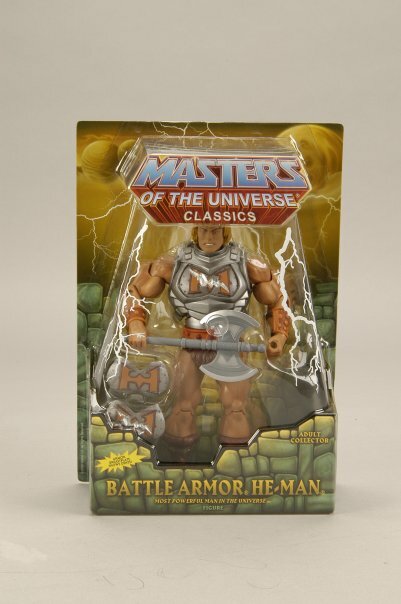 Just got in early packaged samples of the first variant of He-Man in his all new Battle Armor! 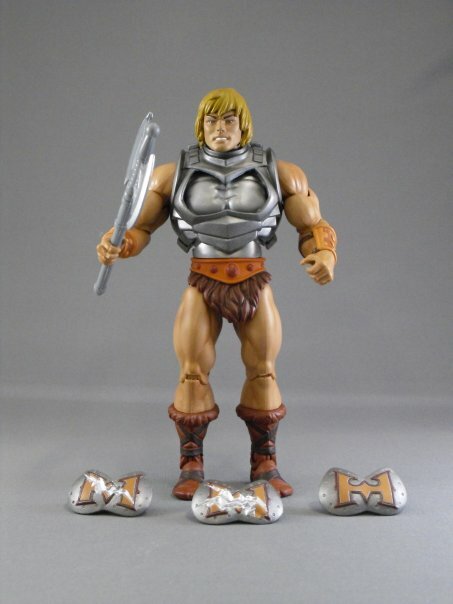 He-Man comes with removable chest armor with a pop out chest plate. 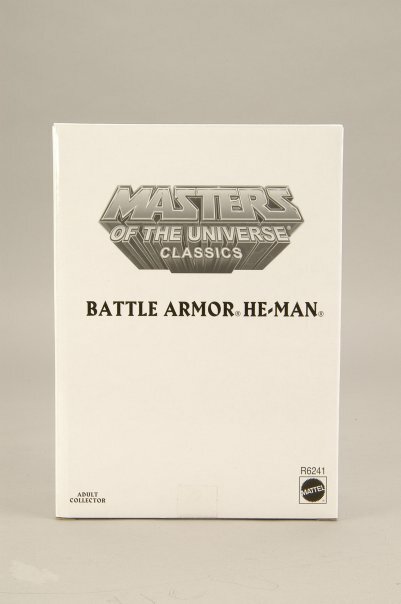 Just snape in any one of the three chest plates to recreate the look of the spinning armor mechanism from the vintage toy. 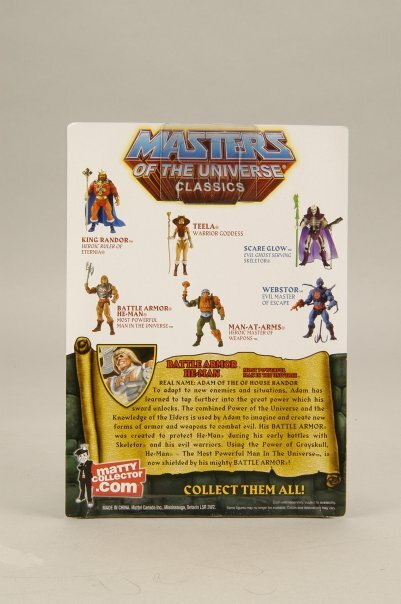 This toy does not feature a spinning tumble, but does include all three chest plates – standard, one smash, and my personal favorite, two smashes! 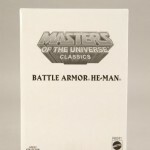 Battle Armor He-Man goes on sale January 15th, only on MattyCollector.com. 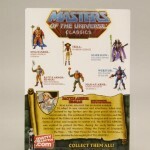 He is a “bonus” figure and is not included in the 2010 Club Eternia subscription. Gets your before he rides away!